SUNNYVALE, Calif., Nov. 13, 2018 -- AEssenseGrows, an AgTech company specializing in automated precision aeroponic platforms for consistent high-yield plant production, today introduced a unique new line of grow lights optimized for premium value plants like cannabis. The AErix LBR003grow light delivers the specifications required to improve the quality of buds grown indoors along with all of the automation features large cultivation facilities desire. AErix lights offer a balanced broad spectrum coupled with high photon efficacy, making them ideal for premium leafy plants. The lights will be showcased Wednesday through Friday at MJBizConin Las Vegas at the AEssenseGrows booth, #2473. 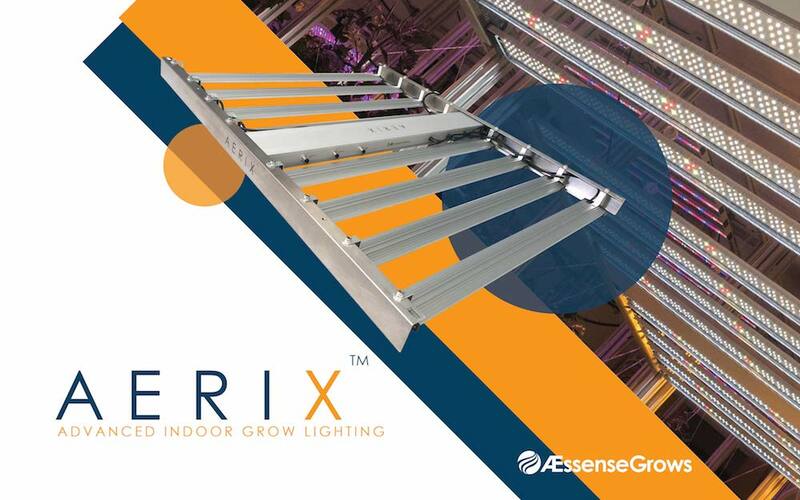 For more information about the AErix lights, including a data sheetand user manual, visit the AEssenseGrows website or contact Gibson at pgibson@aessensegrows.comor 669.261.3086.